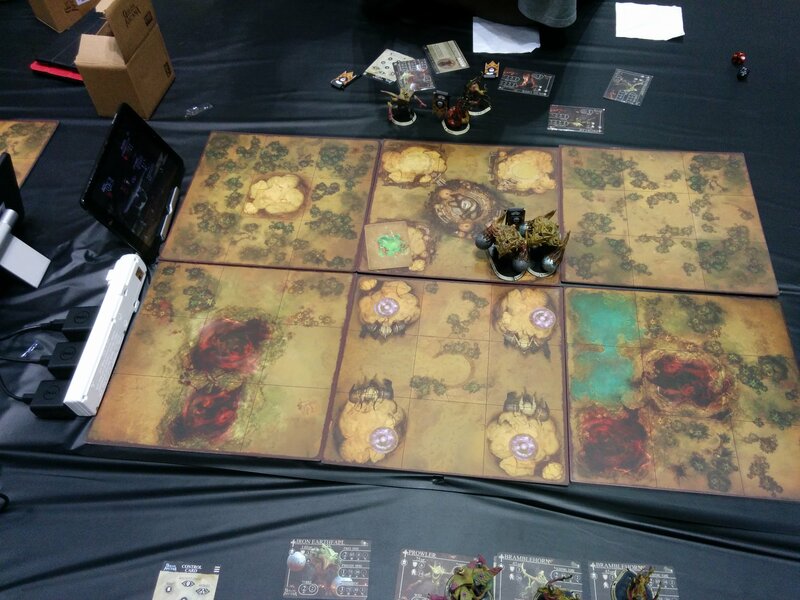 On Saturday, started out back in the Golem Arcana area of the play hall. 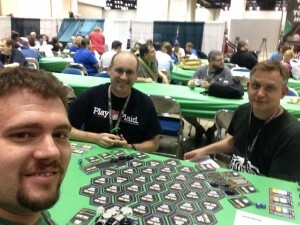 Enough of the east and west coast regional players hadn’t been able to come to GenCon, that most of the midwest regional players got into the national tournament, including me. So I got to play far more than I expected. My first round was against the ten year old son of one of the other players, Alex76. The game started off badly for me but I managed to tie it up, and then we ended up going back and forth both trying to get the last point we needed to win. In the end it came down to our last two golems, each down to their few hitpoints when I managed to get a successful attack and win the game. While I like to win, I’m not a super competitive person. Most of my favorite games of Golem Arcana were super close ones like this one, some of which I’ve lost and some I’ve one. This one has some great close calls one both sides. The other thing I really enjoy about this game is the community that’s building up around it. Likely because the game is so new and the player community is small, but everyone is very friendly. Case in point being in this match, where partway through I noticed Alex was having trouble thinking through all of the moves in a turn and I told Alex’s dad he could help him out. I didn’t want to do it myself because I didn’t want to accidentally give him bad advice. There were a lot of instances like this of players helping each other out, and while I hope that the game continues to grow, I really want this friendliness in the community to continue. 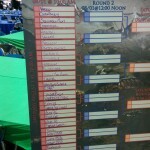 Unfortunately for me the next round in the tournament wasn’t nearly that close and I lost about four turns in. 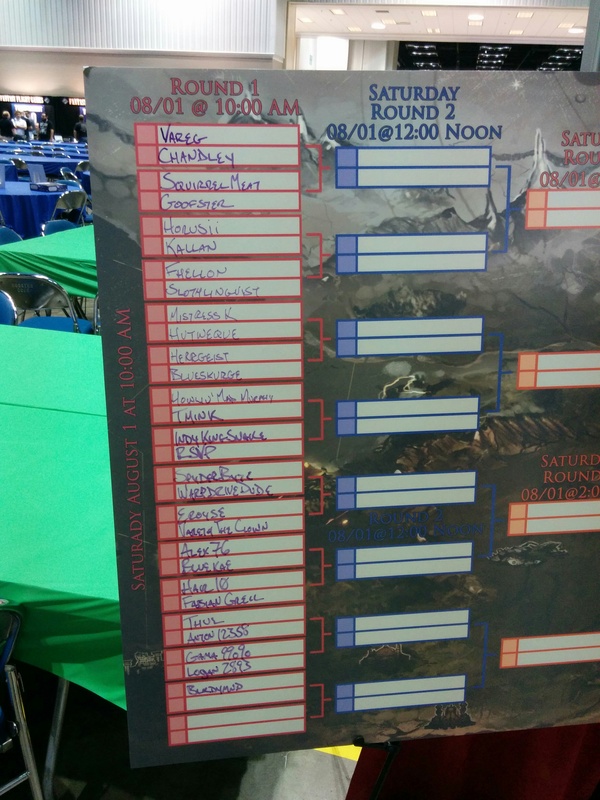 As it would turn out on Sunday though, I lost to the play who ended up winning the entire tournament. 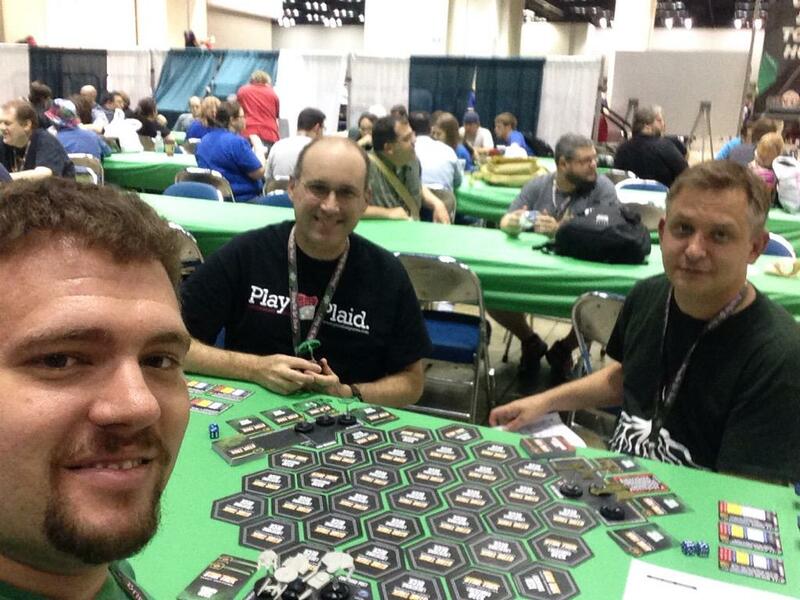 Besides the Golem Arcana tournament, the other big thing I had planned for Saturday was a meetup with Wininoid, Todd, and Greendragoon, fellow Star Trek Online player and Foundry fanatic, for a game of Star Trek Fleet Captains. We had a lot of fun and what turned out to be nearly a four hour game flew by. This was the first time I’d gotten a chance to actually get the game out and really play aside from a brief solo attempt to learn the rules. I was really impressed by how well the game captured the different feels of the Federation, Klingons, and Romulans, something Todd commented on as well. I’m already hoping to get a chance to play this again with them next year. 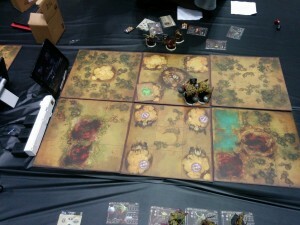 Tomorrow I’ll wrap up my GenCon recap. If you’re curious about this Blaugust craziness go check out the Blaugust Initiate Page.